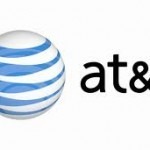 Yesterday AT&T and T-Mobile USA announced that they have reached an agreement where AT&T will acquire T-Mobile USA from Deutsche Telekom for a approximately 39 billion dollars. The agreement will allow for both networks to improve the quality of their service for customers of both companies. The merger will happen quickly with all phases to be completed within the next year. Once these two entities combine they will be the largest carrier by far. Compare AT&T/T-Mobile USA at ~125 million versus Verizon at ~93 million.